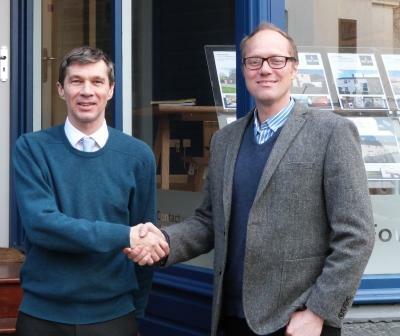 Helston-based independent financial advice firm, Atkins Ferrie Wealth Management (AFWM), is now offering its mortgage advice services in Fowey. The company has teamed up with Fowey River Estate Agents to offer appointments from its offices in Fowey’s Trafalgar Square. Since the end of last year, AFWM has been providing mortgage advice for the holiday home and buy to let market, alongside its other financial advice services. Fowey River Estate Agents director, David Elderkin, said: “As a company AFWM offer high quality and strong ethics and they know what they’re talking about. We decided to team up with them after hearing about their new mortgage specialism. MD of Atkins Ferrie Wealth Management, John Waldie, added: “We are working to extend our presence throughout Cornwall and Fowey was at the top of our list.